Recently i bought a crucial mx500 250gb ssd, to use it in my notebook. Later i found out i can't use it in ahci, because my notebook is 10+ years old, an the mobo does not support the feature. So i used it with ide configuration for a while. In my desktop pc i use a Kingston HyperX Fury 120 Gb ssd with AHCI enabled, and was quite satisfied with the speeds, and stability, but the 120 Gb storage fell short for me. It got full quickly. So I decided, to switch the two drives, because I would not use this much space in my notebook, and I read that the crucial performs better, than my kingston in general. My problem started, when i switched the 2 drives. In the desktop pc i could easily install Windows 10 Pro with BIOS set to AHCI, than go to reboot. At this point the installation didn't continue, because it was stuck on an infinite loop of PNP Watchdog BSOD error, and reboot. At this point i was forced to use it in IDE, but maybe you could help me out with this situation. Oh yes, i almost forgot, in the process i updated the drive, to latest firmware, and my BIOS also has the latest firmware, P 1.80. I'm not sure if it's relevant for AMD but can you get modded BIOS' with updated RAID ROM's? This is a thing on older Intel boards to tackle AHCI compatibility issues with SSD's. Warning: such an action is not without risk! I think this motherboard has NVIDIA nForce chipset rather than AMD chipset. 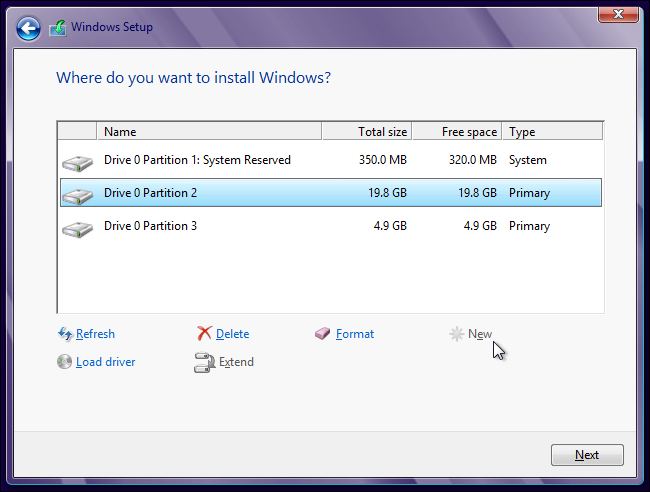 What I would try would be to install AHCI driver during (at the begining of Windows install) - you can do it wit 'Load driver' button at the destination drive selection window. You can give them a try, I am not sure however if those drivers support TRIM. Are your speeds (I mean overall user experience rather than benchmark results) in IDE mode are really that unsatisfactory? I will take a chance first with bogdans solution, maybe it will work. The curious thing about the nvidia sata bug you mention is that i used to have an ssd prior to this, and that didn't have these issues. Sata 2 SSD's wouldn't have the problem. Some older Sata 3 SSD's have the option of having their firmware flashed to sata 2 to work around this problem. Crucial have never offered that. I don't know if it would be possible for a drive manufacturer to code a non standard sata negotiation routine to work around the Nvidia bug. But if it is, again, Crucial don't. Bogdans solution is considerably easier than slipstreaming. I forgot this was even an option since I've not had to do it since XP days. Skip the slipstreaming idea. If Bogdans idea doesn't work - slipstreaming won't. Well, in the end Bogdans solution somewhat worked out. I managed to install the driver in AHCI mode. Though the drive is still shown as IDE in windows The sluggish feel to it is vanished tho. I guess apart from this, the only thing is buying a new mobo, i plan to anyway later this year. Thx for the help guys.